Judges have chosen the winning images in Kendal Mountain Festival’s photography competition. The panel whittled down more than 600 entries to decide the top pictures in seven categories. The overall winner will be revealed at a ceremony on Saturday. The festival’s arts and culture officer said: “It’s always exciting to see where people have been on their adventures, and how they express their experiences through photographs. 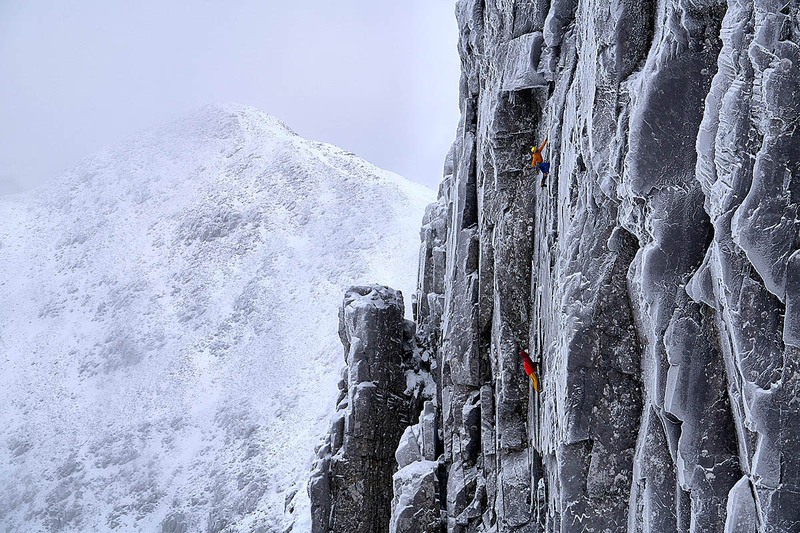 Adventure in the outdoors: Hamish Frost’s image of Greg Boswell and Guy Robertson making the first ascent of Lost Arrow winter variation on Church Door Buttress on Bidean nam Bian in Glen Coe. For the love of the water: George Karbus’s dreamy days on the west coast of Ireland. Urban adventure: Matthew Robinson’s walking the line. Your view of the Lake District, on smartphone: Vicky Hart’s first steps on Sharp Edge, Blencathra. Mountain landscapes: Rod Ireland – The Long Walk, Cairngorms. Climb youth category: Aaron Sylvester’s belay buddy Vallorcine sport crag, Chamonix valley. Runners-up in the respective categories were Ben Tibbetts, Kevin Meredith, Greg Turner, Lee Gillies, Steve Jacques, Gregory Cain and Molly Gerrish. Mark Brown, visual content producer for Osprey, main supporter for the competition, said: “The competition received some truly shining examples of conscious and carefully planned-out shooting. That’s what we like to see. All the photos will be displayed in an exhibition at the Brewery Arts Centre over the festival weekend and will also be available to festival-goers to buy in postcard format. More details are on the Kendal Mountain Festival website.